Create your own interactive poster! 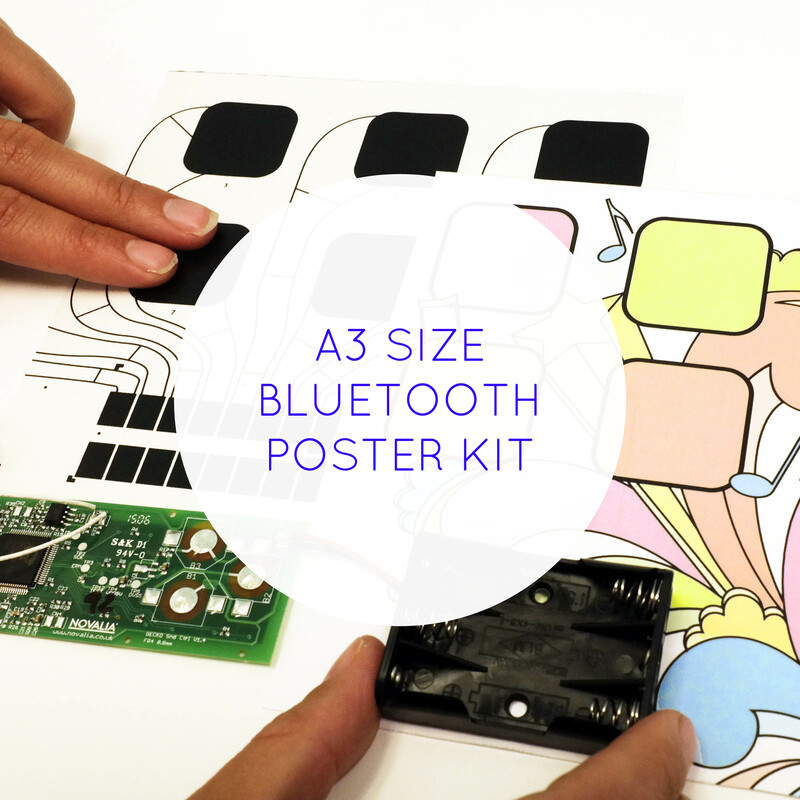 Our Pre-Assembled Bluetooth Poster Kit puts the magic of conductive ink at your fingertips. It is for creators everywhere: creatives, designers, artists, makers and hackers. It is for adults and kids, brands, agencies and innovators. Using our pre-assembled Printed Touch poster and Builder App, you can easily make the poster come to life! No programming, no messy ink and no need to solder wires. Touching the print will connect it to our Builder app on iOs, enabling you to launch video, audio and images. Simply upload your assets to our online app builder and follow our steps to configure the app with your print. Then peel off the liner paper to attach your artwork to the poster’s adhesive surface. The Bluetooth Poster Kit includes two A3 size (11.69 x 16.53 in) blank posters laminated onto foam board, each with a Bluetooth control module pre-attached, along with our Builder app and pdf artwork templates. Requires 1 x CR2016 coin cell battery, not included.